The PVXp™10 is a sound reinforcement system based on a heavy-duty Pro 10 10″ woofer and a RX™10N dynamic compression driver mounted on a 100 by 60 degree coverage constant directivity horn It’s sleek modern appearance coupled with excellent performance offer an outstanding package. 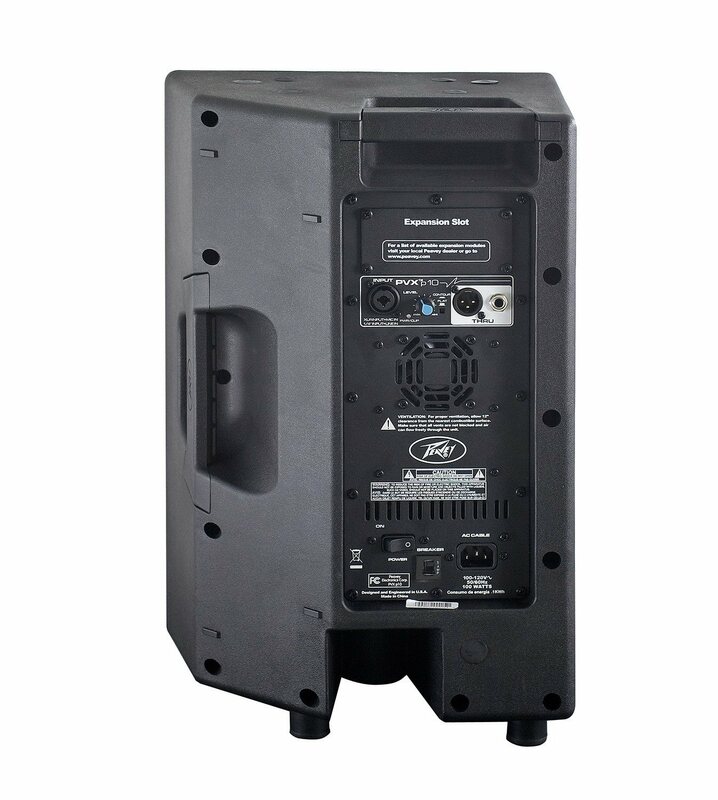 The lightweight yet rugged injection-molded plastic enclosure with molded-in stand mount cup facilitates portable use for live music or PA sound. The trapezoidal cabinet has two handles for ease of portability, and an extra 45-degree angled section on the right side to allow use as a floor monitor. Four sets of flying/mounting points, two on the top, and two on the bottom, with a total of 10 cabinet inserts, provide for the ultimate in installation flexibility. A black powder coated perforated steel grille provides driver protection and a professional appearance. 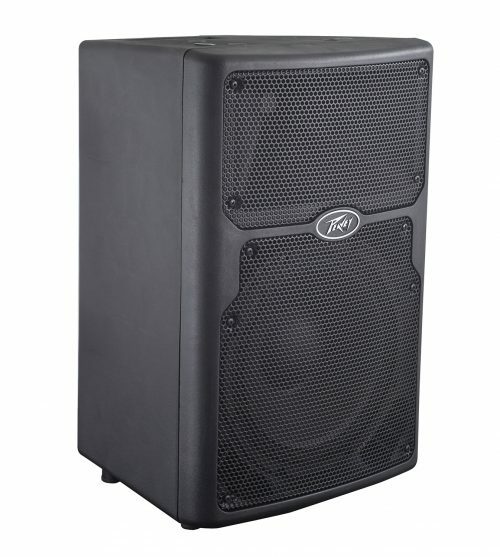 The heavy-duty 10″ woofer provides a good strong low end for such a compact enclosure. The RX™10N compression driver tweeter is coupled to a constant directivity horn with smooth, even response, low distortion and good high frequency dispersion. This horn has an asymmetrical vertical polar response, aiming the main energy lobe down 10 degrees, so it is aimed at the audience, instead of over their heads. The vertical polar pattern is +25 degrees, -35 degrees. This helps reduce ceiling reflections for greater clarity and gain before feedback. 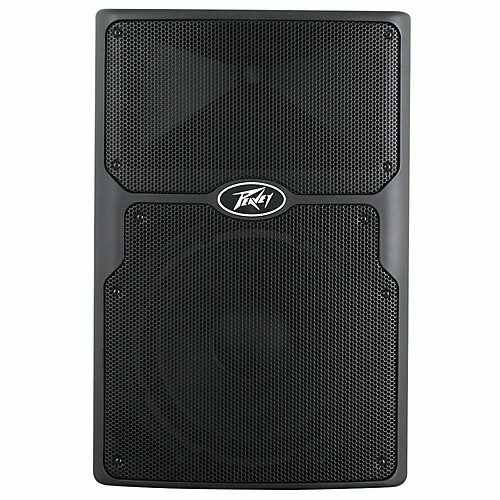 The PVXp™10 speaker system power amplifiers providing the bi-amplification are low-distortion ultra-reliable fan-cooled. The power supply for both amps is a switch mode type for low weight and high efficiency. Both amplifiers feature our DDT™ compression, which virtually eliminates audible power amplifier clipping. Cooling is provided via a low-noise fan, for reliable operation under any conditions. Input is via a combo female XLR and 1/4″ TRS phone jack with balanced input to the preamp/EQ electronics, and a level control. A Thru output has an XLR and a TRS 1/4″ phone jack connector. These outputs allow linking of additional speaker systems, or feed of the signal to a powered subwoofer, etc. The cabinet of the PVXp™10 speaker system has multiple mounting fly points, providing outstanding versatility in permanent install use. Two pairs of M10 inserts are molded-in on the top and bottom, and a set of four M8 inserts is available on the top and bottom, in the pattern used for the Peavey VM70 mounting bracket. This is a total of 12 mounting inserts in all. All of these inserts have retaining hardware on the inside of the plastic cabinet, providing a more reliable and safe mode of mounting the cabinet.